Sweet!!! 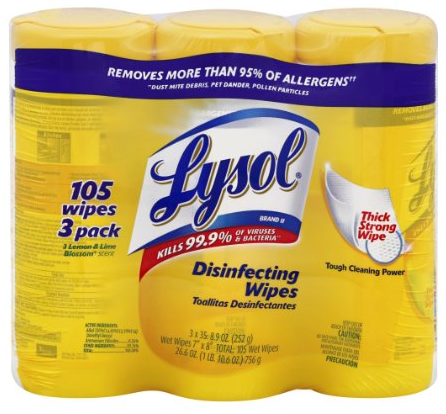 Hurry over to Amazon and you can get this 3 Pack of Lysol Disinfecting Wipes for just $3.22 + FREE shipping!! Go to the product page here. Clip the $1.50 off coupon on the product page. Check out using the suscribe & save option on the right (this gives you free shipping + the discount). Your total will be just $3.22 Shipped!! Reg. $7+!! Head over to Amazon now!